We are leaving. Leaving what? Leaving Islam for some, leaving the mosque and and sense of greater Muslim community for others, carrying with us the broken and unfulfilled promise of an Islam, which really did elevate the status of women and truly does view women as full active and contributing members of society worthy of respect, dignity, and inclusion. Not that we were ever truly welcomed here by so many of our communities. A victory of sorts. Victory for those asking us to convert out of Islam for challenging the status quo, victory for those who believe women should neither be seen nor heard nor step outside of her home, and victory for those who say Islam is an intolerant and backward faith in need of reform. In the film Me and the Mosque by documentary filmmaker Zarqa Nawaz, Dr Aminah Mccloud, a professor of Islamic Studies at DePaul University notes that many Muslims are “un-mosqued.” These are the Muslims (the absent and mostly silent majority) that have been unable to find or participate in helping to create a mosque space that welcomes and reflects the desire of (not only) Western Muslims, especially but not limited to women, to have a real voice and equitable space (and other) consideration within Muslim communities, near and far. For many reasons, mosque attendance has become associated with multiple levels of pain and anguish so much so that many have given up on their communities and have become un-mosqued. 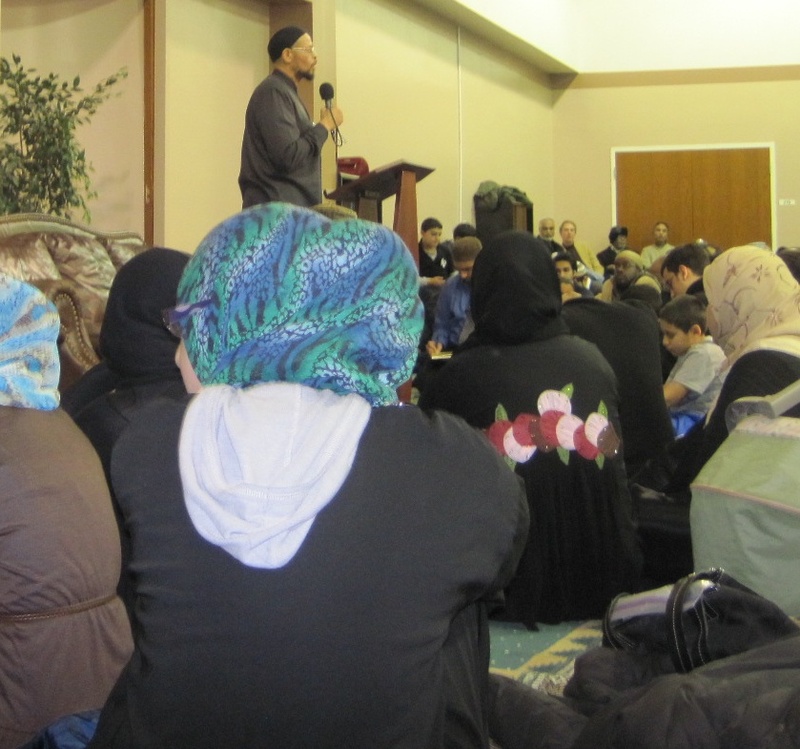 At the recent Muslim Public Affairs Council’s annual convention, Imam Johari quipped that while Muslims may be un-mosqued they are not “un-Muslim.” In some communities, attendance at the mosque for prayers, lectures, events or weekend school is a kind of litmus test for one’s faith. Those who come more frequently are often assumed to be more pious and to have stronger faith than those that come infrequently. It’s not only women who have grown dissatisfied with the general attitude of non-concern, which permeates many Muslim communities whereby more than half of mosques in North America relegate women to basements, penalty boxes, balconies, partitions, and other substandard accommodation in addition to excluding their meaningful participation in the affairs of the community. Professor Jeffrey Lang, recounts in a three-part video lecture his personal and devastating experience with his own daughters as they gradually became un-mosqued. Unable to find a place to nurture their faith in the man-cave of the mosque, which never welcomed them, many women have grown accustomed to developing and practicing their faith outside of the mosque without a sense of greater community. Again, a victory for those who emptily parrot the hadith that the salah of a woman receives more reward in her home as though that can capture the full range of meaningful experience of vital importance to cultivate and strengthen one’s faith. Why do we seek to engage in our communities through the mosque? The reasons are many and includes so much more than just the multiplication of reward for engaging in salah. 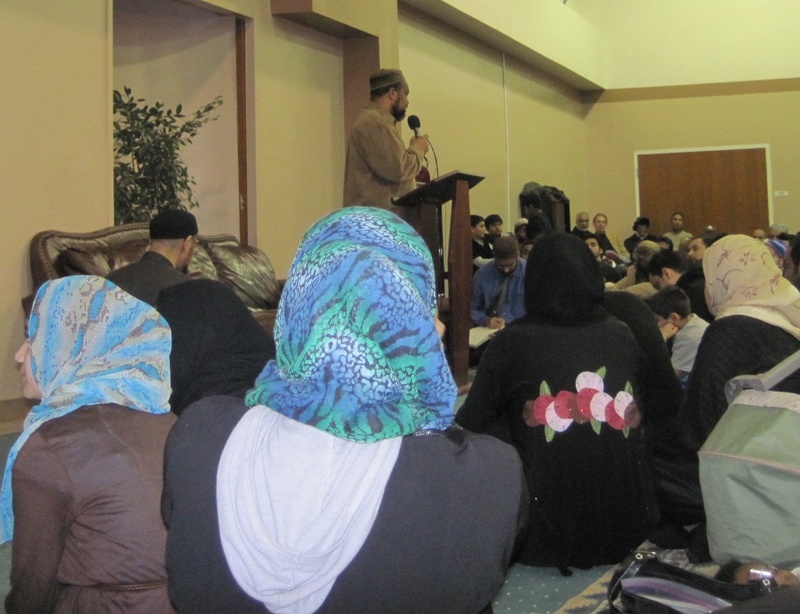 The mosque is not only a place to pray but also a community gathering space. Yes, when out and about and in need of a place to pray, I delight in praying comfortably in a mosque. The mosque is also a place to see the diversity of Islam’s adherents and meet other like-minded Muslims, I think I’ve met the majority of my friends either at the mosque or through mosque-led events. Being in community and interacting with others with its attendant joys and bearing its harms is a way to put one’s faith into practice. Getting up in the early pre-dawn hours, day after day, to pray fajr and other salah in the mosque teaches you discipline and time management, standing next to a fellow Muslim in prayer inculcates the beautiful manners of Islam including patience, gentleness, humility, forgiveness, and a concern for others, and breaking fast together or performing other communal worship strengthens one’s own faith, deepens the ties of connection, and fosters a sense of real community. So the loss of the mosque in one’s life is acutely painful. Practicing one’s faith alone can be lonely. It’s profoundly disheartening to experience the disconnect between the theoretical Islam where Muslims happily recount the list of Muslim-first achievements (women having the right to own property and inherit, to keep their own names, to whatever) and the repeated use the easy hijab and gender stereotypes, while the ugly reality of inequity and belittlement, which is experienced by so many simply on account of their gender exacts a heavy toll on one’s faith. Those that bear witness to such inequity mainly do so with either silent acquiescence or protest. I’ve tried the former and am increasingly convinced the latter is better. Protest can take many forms chief among them is the prayer coupled with action. Moving out from behind the partition and penalty box, the basement and classroom, and the balcony and other inferior disconnected spaces, I’ve decided to write and continue to highlight the words of other strong and eloquent writers on the issue of women’s prayer space and community inclusion, here and here, which continue to generate much discussion. In addition, I’ve started a photoblog to highlight prayer spaces around the world. Recently, after publishing pictures and my own reflections of the experience at a local mosque, a board member at that mosque responded in the comments excusing the substandard accommodation and promising reforms and improvements in the near future. A small but important victory of sorts. 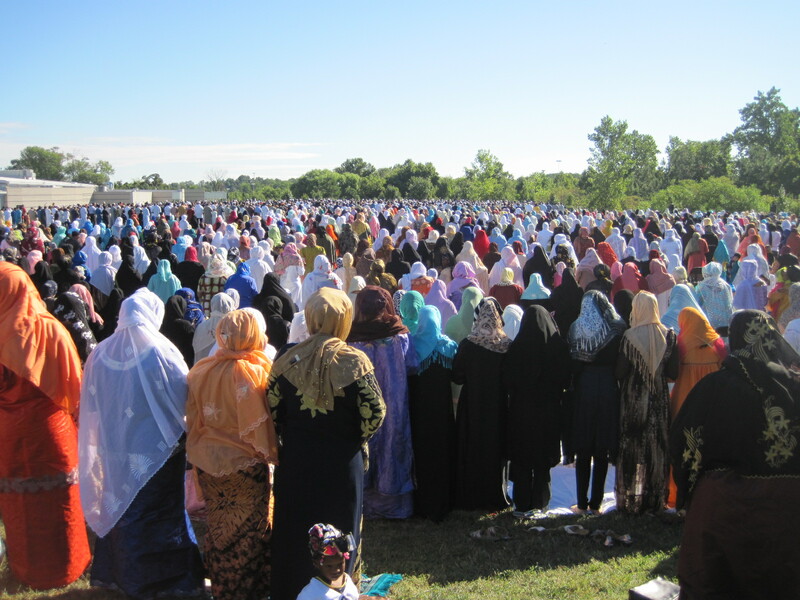 Among the beneficial aspects of highlighting the issues surrounding women’s prayer space and inclusion within the Muslim community has been to find a community of Muslims around the world who have been struggling for improvements for years and increased awareness and attention paid to these issues by Muslim writers, activists, and imams. 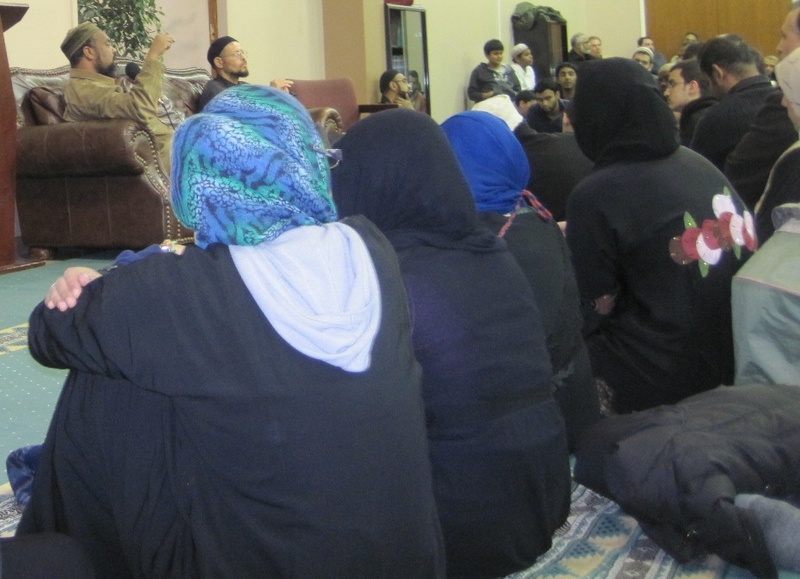 In the last year, Suhaib Webb, Imam Johari Abdul-Malik, and Yasir Qadhi have been speaking out against the shameful ways women are treated in our community, of which one aspect manifests in poor accommodation in mosques. The decision to leave the mosque behind in search of a safe place to nurture one’s faith is not taken lightly by one deeply connected to the mosque and Muslim community. But for some Muslims, it’s a retreat that is needed in order to hold onto both faith and sanity. We may be leaving the mosque behind but we’re not leaving our faith, at least not most of us. As for me, I’m not willing to give up on my faith or the Muslim community or the mosque and so I will continue to utilize my energy to improve the situation and continue to pray in protest.